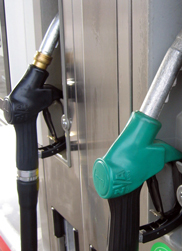 Good Garage Scheme Car Servicing in Great Britain : Are you driving less because of fuel prices? Are you driving less because of fuel prices? Fuel prices are a hot topic of debate these days. With the welcome news that the Chancellor will scrap the planned fuel duty in January as well as the inflation increase in August 2012, we would like to share the results of a recent consumer poll. The Good Garage Scheme has surveyed over 1300 motorists up and down the country in the last two months and found that 78% are driving less because of higher fuel prices. The results of our poll are not surprising as consumers are trying to cut corners wherever possible. Walking and cycling are great alternatives, but if there is no other option but to use the car, the Good Garage Scheme offers handy tips on saving fuel. • Choose gears wisely – Over revving uses more fuel. Changing up a gear slightly earlier can reduce the number of revs. • Prevent idling – Being at a standstill for a long time consumes fuel unnecessarily. If you think you will be at a standstill for more than 3 minutes, simply turn off your engine. 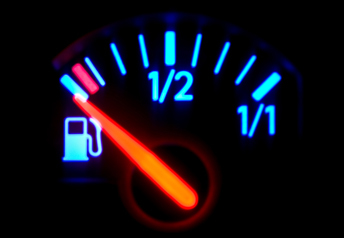 • De-clutter – A heavy load puts more pressure on the engine resulting in more fuel being used. Unload any necessary clutter, especially from the boot. • Abide by speed limits – We all know how tempting it is to exceed the limit on an open road, but higher speeds mean more fuel. Great story and very timely as costs are crazy these days! i came across this story a while ago and liked it enough to bookmark it! has some decent tips in there!